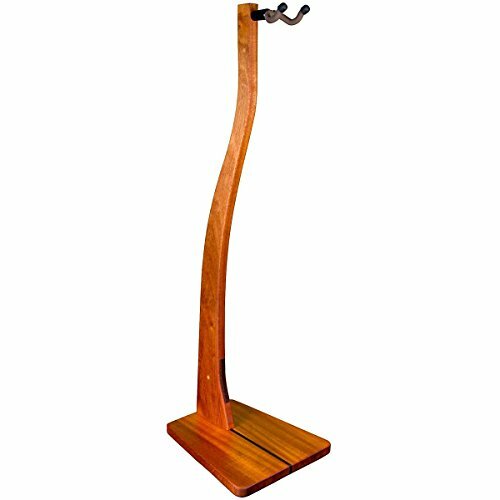 When it comes to the best guitar stands and hangers, we're talking about a lot of choices. If you own a guitar, you want to take the best care of it you can and part of this is buying a good quality stand for your instrument. We've made things easier for you by picking out the very best guitar stands and hangers available. Ideal for both acoustic and electric guitars. Has three adjustable width settings to hold guitars of varying size. Padded arms to prevent scratches while offering support. Compact and can fit in gig bags. Sturdy enough to hold a hollow body guitar or solid body bass. 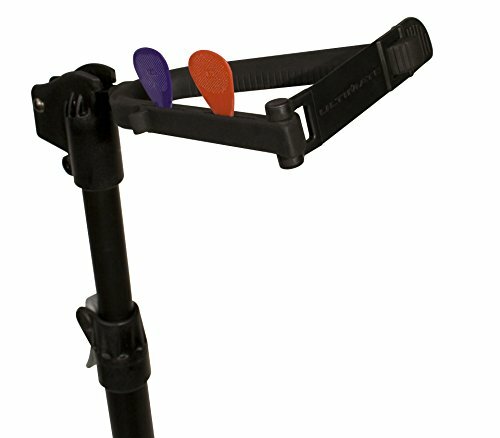 Inexpensive, which is perfect if you need multiple stands for multiple guitars. Can withstand heavy instruments but is itself lightweight. Won't scratch instruments thanks to its specially formulated foam. Adjustable height to accommodate guitars of different sizes. 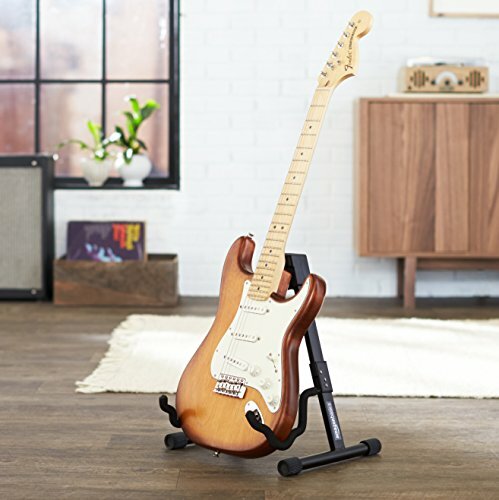 Are Guitar Stands Bad For Your Guitar? Can You Use a Guitar Stand For a Banjo? 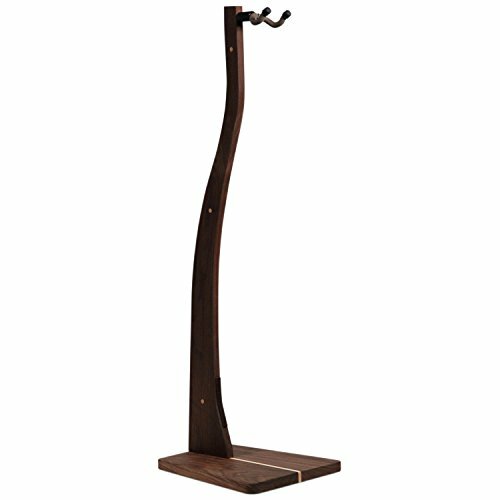 How Much Do Guitar Stands Cost? 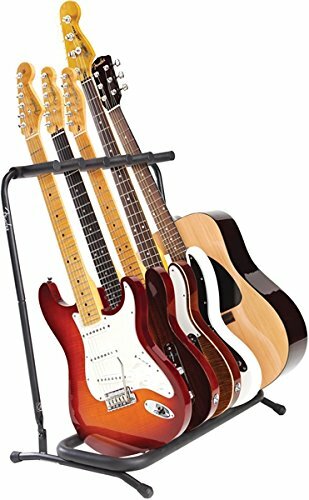 Are These Guitar Stands Portable? Do I Have To Assemble The Guitar Stand? 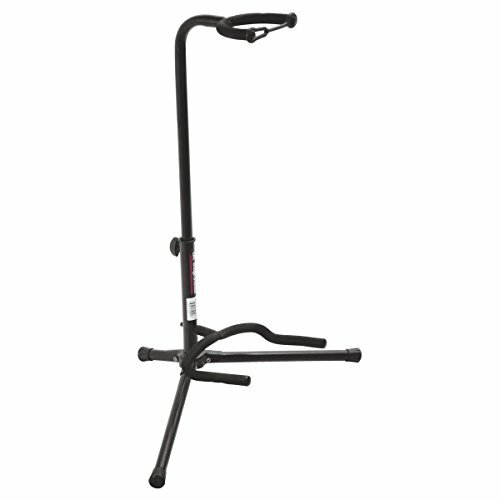 This is a universal guitar stand perfect for both electric and acoustic guitars. It has an adjustable width with three settings to easily accommodate any size of the guitar. From a small kid's guitar to a banjo, this thing is capable of securely holding it all. The non-slip rubber feet help it stand firm on the ground so it won't move even if your guitar is quite heavy. Why We Liked It - This is an affordable guitar stand with no assembly required. 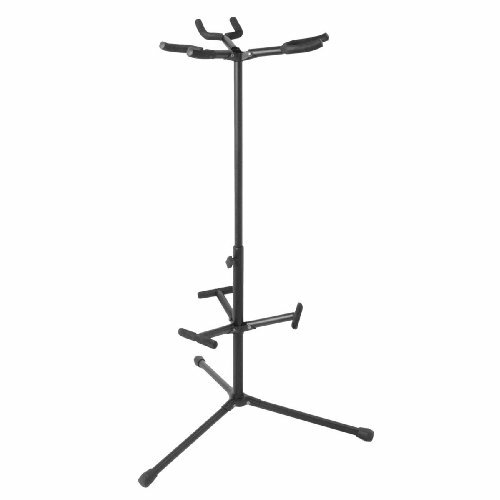 It's a great option if you need a stand for gigging and want something that is good quality. This is a great compact stand for holding your guitar. It will easily fit most standard sized guitars and you can also put it in most gig bags. Wherever you take it you can unfold it in seconds and securely keep your instrument on it. Whether you have a hollow body - view our post here - or solid body basses or electrics, it can easily hold it. 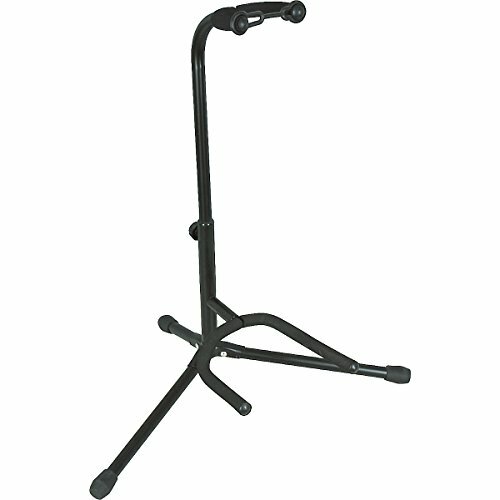 Why We Liked It - Despite the small size this stand can hold heavier instruments which is perfect if you have a long neck bass. 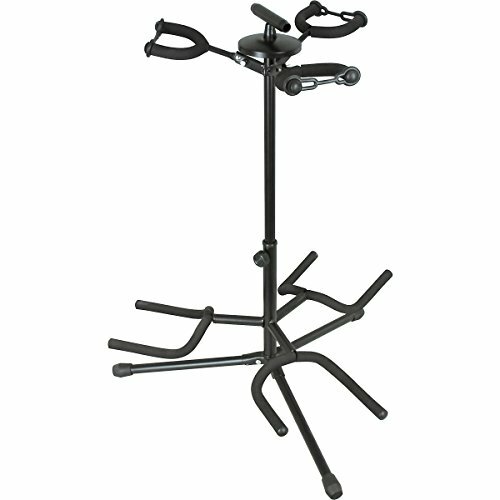 Hercules Stands produce high-quality instrument stands that have a bold construction and sleek design. It has the latest auto grab system yoke which can easily be folded and packed up. A lot of people refrain from stands thinking it will damage the guitar by putting scratches on the body. This stand, however, is designed keeping with that in mind. All the touch points have been fixed with Specially Formulated Foam (SFF) to provide a soft and non-scratching touch. The height is adjustable with the soft grip height adjuster having a height range between 33.6” to 42.3”. It can withstand a weight up to 15 kg (33 pounds). This means that you can put most guitars on it. Looking for a new high-end electric guitar on a budget? Try this review. It's lightweight at only 3.7 pounds. Since it has a lean back, even if you were to hit the stand accidentally it won't fall or swivel. + Can withstand heavy instruments but is itself lightweight. + Won't scratch instruments thanks to its specially formulated foam. + Adjustable height to accommodate guitars of different sizes. Why We Liked It - It's a very modern looking stand with a minimalist design that looks good while doing its job effectively. It locks and unlocks your guitar with a simple snap. >This is an innovative guitar stand that was designed with convenience in mind. It's a one-of-a-kind design that utilizes one handed operation. The construction is sturdy and it features heavy duty square tubing and velveteen rubber to provide ultra smooth contact points. The lower yokes are stepped and are able to hold most acoustic-electric instruments firmly in place. When you are traveling, just fit the upper yoke between the legs to easily store it. The upper yoke is their patented “Flip It” design and increases its portability. The height can be adjusted between 18.5 inches and 26.25 inches. It is finished with a black powder coating to make it durable. + Adjustable height which can fit most guitars. + Heavy duty, durable make. Why We Liked It - This is one of those frames that you'd want to buy as soon as you lay eyes on it.. It's super stylish and makes a great addition to your room or studio. A mix of affordability and innovation, the Pro Flip it Frame is a must have for any guitarist. This stand holds the guitar by the headstock and there is no assembly required for it. You have a guitar pick slot storage on top. If you have a long bass, then this is an excellent choice for you because it has a generous adjustable height that can go up to 45.5 inches. You can easily fold it down to a size of 22 by 3.5 inches so it can easily fit in a case. This stand comes in one piece so there's no fear of any parts coming loose. The guitar's body lies on cushioned padding so there's no chance of affecting the finish of the guitar. Even though it's secure enough, there is an additional strap to make things even more secure. 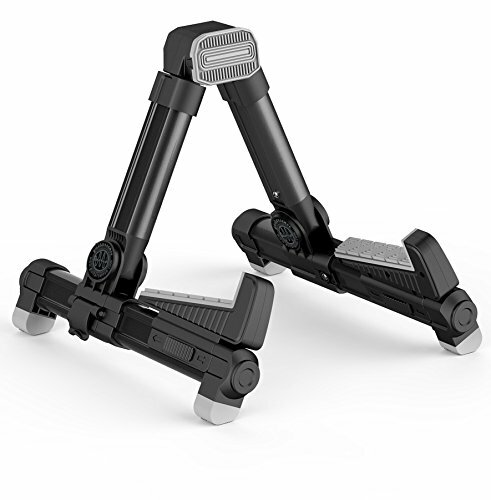 There's a patented leg-locking system that also aids to the stand's stability. + Cushioned padding to protect your guitar's finish. + Has an additional strap for extra security. + Patented leg-locking system for increased stability. Why We Liked It - You can easily pick up and put back the guitar by the headstock. It rests smoothly on the stand. There are little things that make it all the more functional like guitar pick slots. It's a great investment to keep your guitar safe and sound. 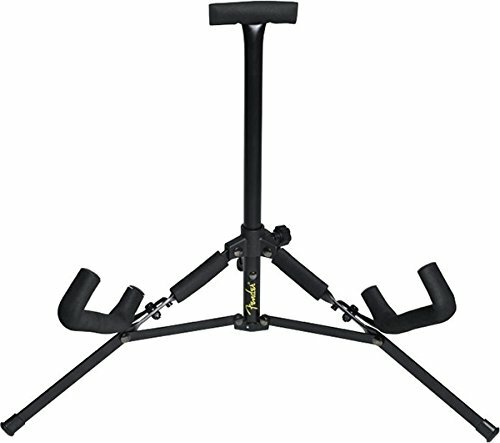 If you're looking for a truly lightweight guitar stand, look no further - the Gear Electric, Acoustic, and Bass Guitar Stand by Musician weighs a mere 1.8 pounds. Even though it's lightweight, it has enough sturdiness to hold most guitars. The stunning black polish steel tubing is strong enough to accommodate any kind of guitar you can think of. There's a soft rubber strap as well as rubber non-slip feet to keep things extra secure. 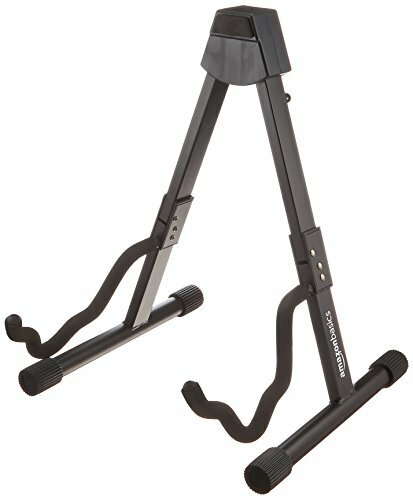 In addition to its weight, the other thing that makes it super portable is its easily foldable tripod legs. Whether you're going to practice or playing a gig, you can easily fit it in a case. + Incredibly lightweight at only 1.8 pounds. + Super durable, but also portable as it folds up to fit in almost anywhere. Why We Liked It - This is yet another product with a minimalistic design that has the ability to provide both strength and convenience. Better still, it's also very affordable so you can buy more than one if you happen to have more than one instruments. This wall mounted guitar keeper is a great alternative to a stand if you portability isn't an issue for you. The wood used for this guitar keeper is premium quality, pure American wood with unique wood grain. It has a long manufacturer's guarantee, so you can rest at ease knowing you won't have to replace it anytime soon. The yoke pivot is suitable for most headstocks. The only major drawback is that it isn't ideal for even the best classic guitars electric or bass instruments. The padding is ultra-soft to spare your instrument any scratches. The yoke is 2 inches wide which is good for most wooden heads. The guitar remains 5.5 inches away from the wall so you don't need to worry about your guitar touching the wall. 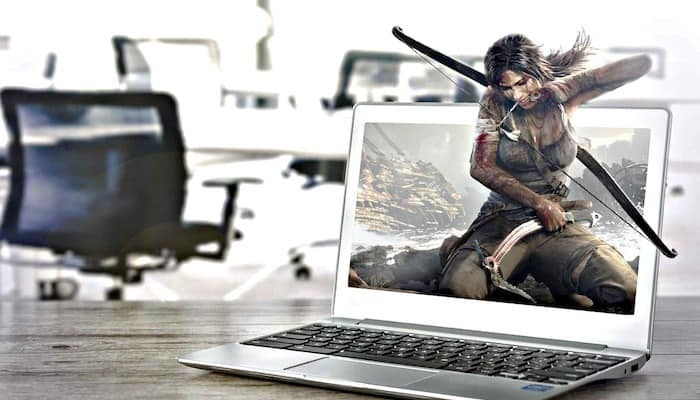 + Ideal if you're not concerned with portability. + Soft padding to prevent scratches on your instrument. + Affordable and easy to assemble. Why We Liked It - This is a great solution for anyone with limited space. College students living in dorm rooms would especially love this mounting holder. It's American-made so there is no doubt about its quality and durability. 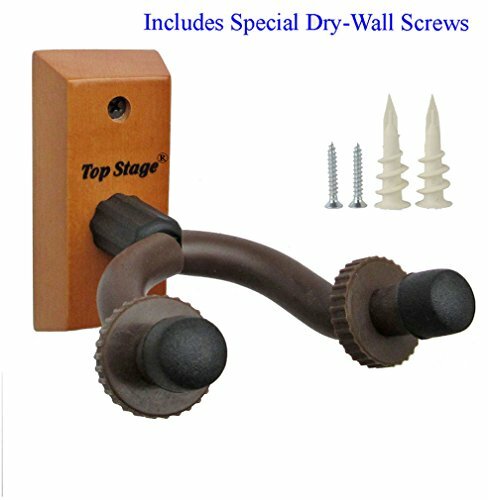 The Top Stage Guitar Hanger is a strong wooden and plastic drywall mount that can be used to hang any sort of guitar. It can hold up to 50 pounds which means that you can easily hang most guitar models. The base is made out of solid wood for excellent strength. The mounting hardware is included. 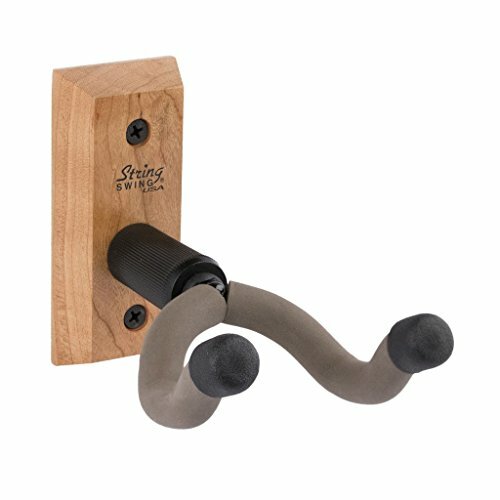 In terms of price, this is the most affordable guitar hanger you'll find out there. If you do not want to spend a lot on an accessory, this is a top choice. The one downside is that the opening is only 2 1/4” so you probably can't fit in the headstock of a classical guitar. Nonetheless, it is a viable solution for those who want convenience and affordability. 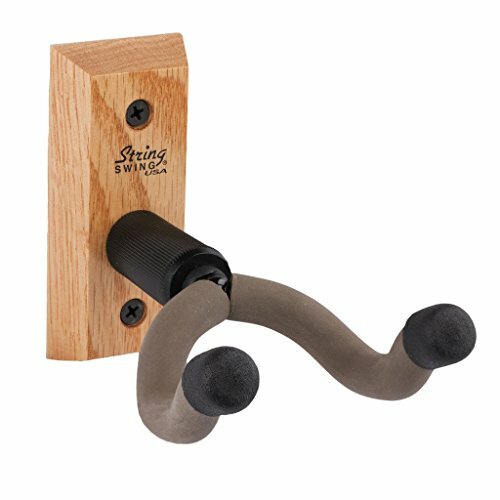 + Unbeatable price – this is one of the most inexpensive wall mounts on the market. + Can hold up to 50 pounds. + An ideal solution if you have limited space. Why We Liked It - This is yet another product that is space efficient and works well if you have limited space for keeping a guitar. A nice bonus is that it makes great décor because your guitar will look fantastic hanging on the wall. Why We Liked It - This is a light yet strong wall hanger. It would look good on any wall be it wood or concrete. Those looking for something minimal and inconspicuous should consider buying this hanger. This stand provides the perfect solution for someone with many guitars because you can hang three on one stand. The arms and yokes have extra soft padding to protect the finish of your electric or bass instruments. The overall build is made with study neoprene tubing but is kept light so you can move it from one place to another without hassle. There are locking straps on the yokes to make things even more secure. It's so stable that your guitar won't fall if pushed. The height is adjustable so it's a good option for a variety of guitars. 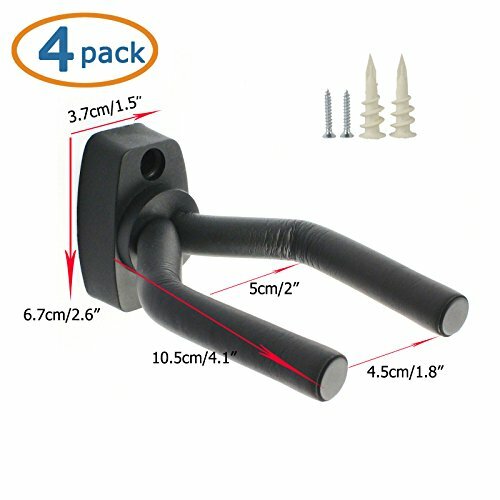 + Adjustable height which is perfect for supporting guitars of various sizes. + Has locking straps for extra security. 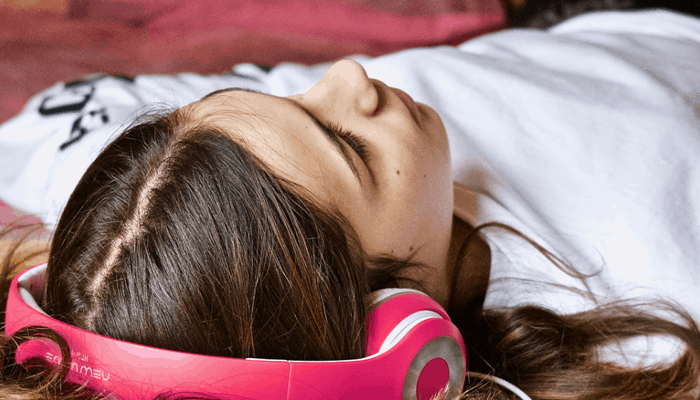 + An inexpensive option which is perfect if you're on a budget. Why We Liked It - This is an affordable, reliable, and smart solution if you have more than one guitar to hang. You get a stand for three guitars for the price of one. Better still, it looks great and is easy to transport. This stand from Hercules is designed to hold three guitars. It has three auto folding system grips for total support and security, as well as folding backrests. The grip is soft thanks to the specially formulated foam that ensures the finish of your guitar stays protected. It's a little expensive but definitely good value for money when you take into account its capacity. 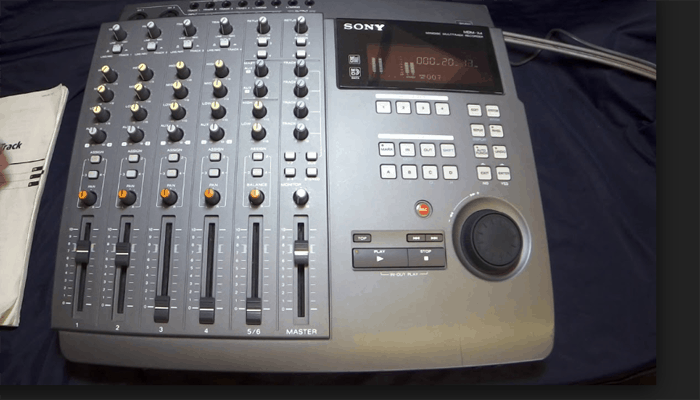 It is good for home use as well as professional studios because it is very sturdy and innovative. The height range is 35.6 inches to 44.5 inches which is more than enough to hang most guitars. It only weighs 6.5 pounds so you shouldn't have much trouble carrying it if you need to take it on the go. + Can accommodate guitars of many sizes. + Lightweight, so good if you're on the go. Why We Liked It - Hercules is one of the top names in terms of quality guitar stands. This particular model truly lives up to the Hercules name. It's a professional-looking stand that is designed to be secure, convenient, and long-lasting. It is perfect for those guitarists that love their instruments and only want the top quality. 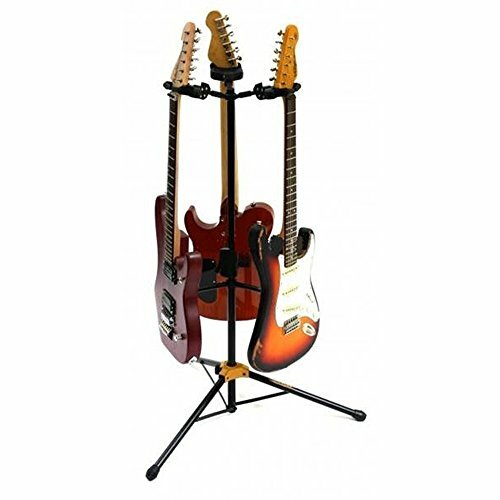 This double guitar stand is not only great when you need greater capacity but is also very portable. The upper yokes can easily bend or flip up and be stored safely in a case when you need to travel. The lower yolks do the same. The height can be adjusted to between 19 inches and 33 inches which is pretty decent for most modern guitars. The ends have non-slip rubber caps which provide extra protection and give you the firmness needed for storing something as precious as your guitars. You can use it for literally any kind of guitar like acoustic, electric, classical or banjo. + Perfect for using with everything from acoustic, electric, and classical guitars as well as banjos. + Non-slip rubber caps for extra protection. + Upper yokes flip up which makes this stand even easier to transport. Why We Liked It - This is a product that is truly designed with the moving guitarist in mind. 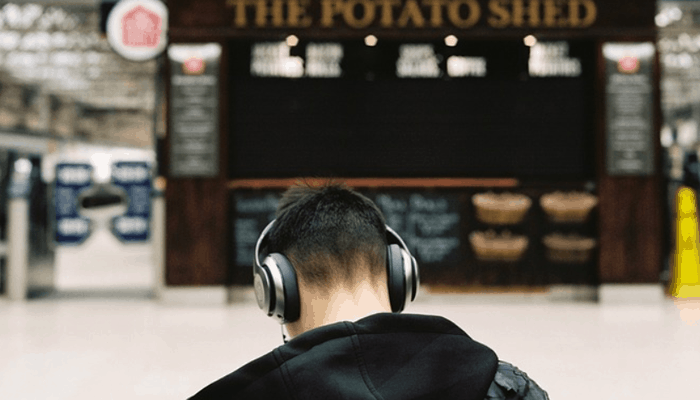 When you're traveling or gigging a lot, you need something that is easy to carry. With its flappable yokes, you can just pack it within seconds. Since it's a double stand, you get to hang two stringed instruments instead of just one. 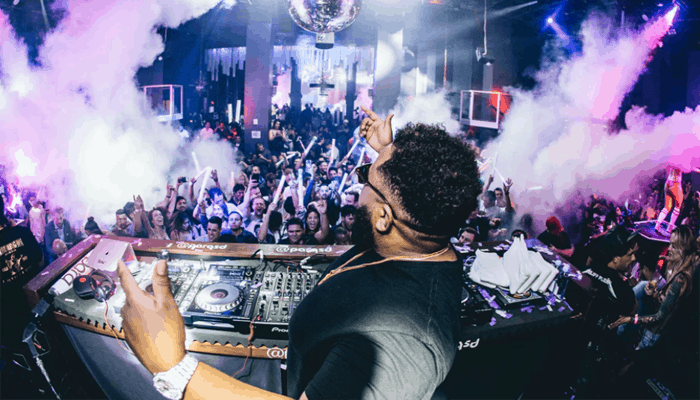 This is On-Stage's take on the triple stand and it would we can comfortably say it's triple the quality and convenience. Much like the double guitar stand, it is designed to provide an easy and portable solution to mobile players. The tubing has velveteen rubber to save your guitar from any scratches. The legs are made of solid steel which makes it very secure for hanging heavy instruments. This provides that extra strength for hanging three guitars. The height can be adjusted between 36 to 42 inches so it is suitable for big guitars. + Extremely strong and able to safely support three heavy instruments. + Velveteen rubber tuning to protect your guitar from scratches. Why We Liked It - This stand is both ultra-strong but also quite portable. The tripod stand can be folded to carry on travels or tours. The ends have non-slip rubber caps which may seem like a small addition but are quite essential to do the job right. For studios, a simple guitar stand isn't an ideal solution because you'll need a lot of them. A rack, however, is a great for housing many guitars in one location. The Hercules Rack allows you to hang up to five guitars in your home or studio. Like other Hercules stands, it has specially formulated foam that covers all touch points so your guitars stay scratch-free. It's a great option for the stage when you need to use multiple guitars. The yolk can be adjusted to hold different types of guitar. This is an all one piece design so you do have to assemble or break it down when transporting. 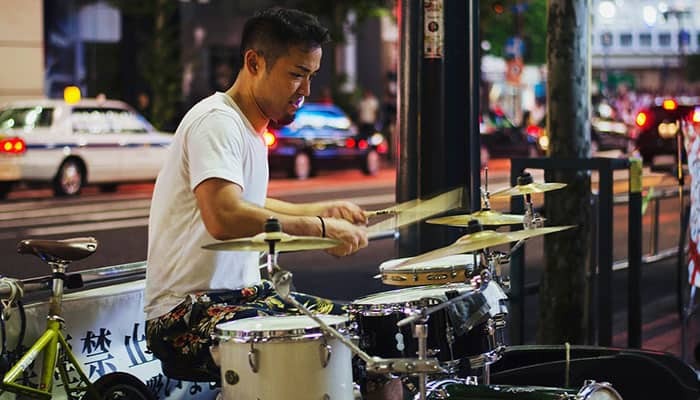 + Ideal if you have multiple instruments in your home, studio, or also excellent for stage use. + Can support a lot of weight. + Has specially designed foam to protect your instruments. Why We Liked It - This is a professional quality rack that's great for studios or stages. Never buy separates stand for all of your instruments again. This stand can house five guitars ready for you to use whenever you're on stage or in the studio. It has a simple structure and the best part is that it folds conveniently. The tubes are made from steel which provides plenty of strength to the overall structure and allows it to safely support heavy guitars. Soft foam padding means no scratches or nicks on your precious instruments. It only weighs 7.1 pounds so you can just fold it and carry anywhere you like. + Holds up to five guitars, including bass, acoustic, and electric. + Incredibly lightweight considering how many guitars it can hold. + Folds away for easy transport. Why We Liked It - Like a minimalistic style? You'll love this stand for keeping your guitar collection. This rack is an affordable solution compared to buying multiple stands separately. 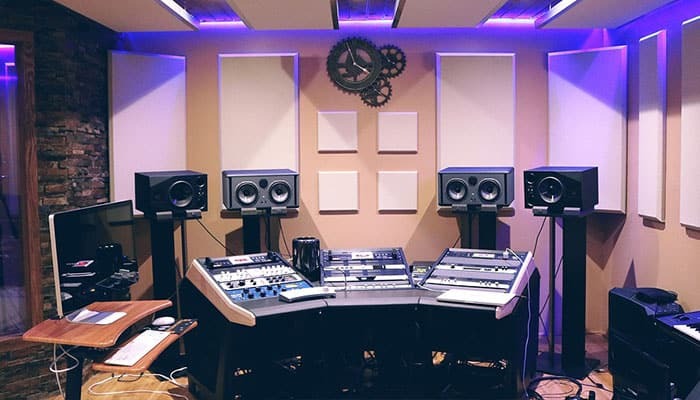 The finish is quite professional and most studios use similar racks. Now here is something simple yet fun to house your guitar. 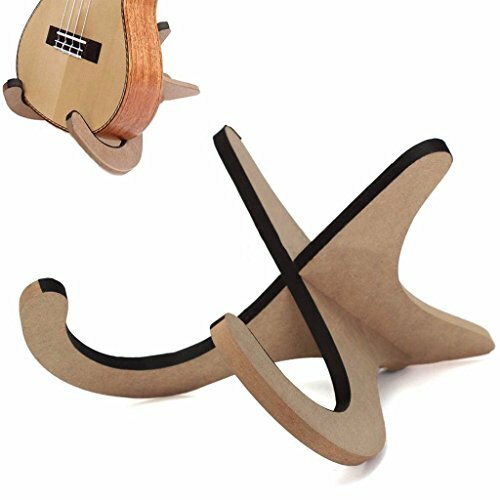 This stand has two Y shaped arms that are perpendicular to each other where you rest your guitar. It's a real beauty, made from high-quality rosewood. It has anti-slip padding on the cradle to provide the protection your guitar deserves. Put it anywhere in your house or studio. It looks absolutely stunning. You can assemble it in under a minute and since it's lightweight, you can easily carry it. This is great for most Fenders but is not recommended for heavy bass guitars. + Beautiful finish made from rosewood. Why We Liked It - If you want something different, this stand is a great choice for you. With its innovative, attractive design and durability, you can't go wrong with this stand. If you're looking for something ultra-stylish, you need this handcrafted solid black walnut wood stand. It's a great alternative to steel and plastic tubed stands and uses premier quality wood. The American made swing cradle is perfect for nitro finished guitars. It will go well with the other wooden furniture in your home or studio. The height is 38 inches, which is ample height for hanging most guitars. The best part is it only takes a minute to assemble it with a screwdriver, so anyone can do it. + Made from beautiful and sturdy walnut wood. + Ideal for nitro finished guitars. + Has a height of 38 inches, which is perfect for most guitars. Why We Liked It - It comes in a wide range of colors like cherry, walnut, black. Usually, stands don't come in many color choices so if you want to add a pop of color, this stand provides you with options. A-Frames, as the name suggests, are shaped like the letter A and have two legs. These are used for holding a single guitar and usually have rubber tubing so that the stand doesn't slide from the weight of the guitar. The bottom of the stand supports the body of the guitar and occasionally, there's neck support as well to improve the overall strength. This type of stand offers the guitar even more security. If you need to keep your guitar in a room where there's a lot of movement, an A-frame stand with neck support will offer the most safety for your instrument. These are also called tripod stands and have three tubular legs. 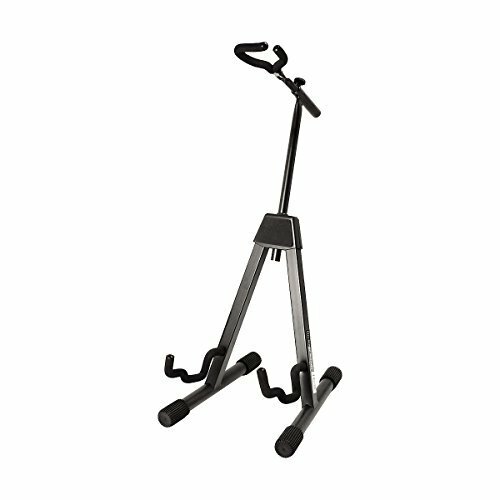 Tubular stands are also the most common option on the market and are the choice for many beginners because they're so cheap to buy. You might need to assemble and they're a little less portable than other styles of stands. 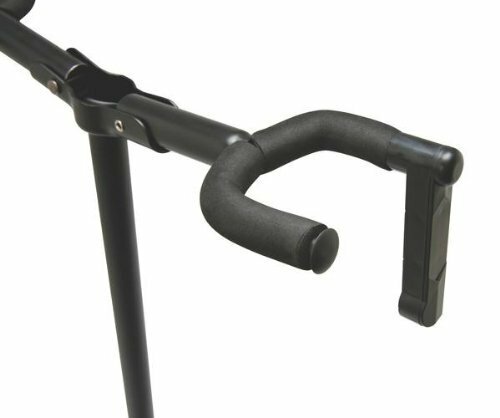 However, newer tubular stands have bendable yokes so that the stand is easy to carry or store. They're stable enough to withstand heavy instruments, but the downside to this is that they generally take more floor space. Don't want your guitar on the floor? Try a wall hanger instead. It's mounted on the wall with screws and has arms/yokes for holding the headstock or neck of the guitar. The base is usually made of wood but there are plastic options as well. It is clearly the easiest and cheapest option for hanging your guitar. A lot of people prefer these over stands because they look decorative too. Obviously, it's also space efficient so if you have limited floor space, a wall mount option can be the best choice. Make sure to check the max weight it can withstand and use high-quality screws which usually come with the product. Although not a type of guitar stand per se, the quality and portability make premium stands something you should seriously consider investing in. Hercules and Ultimate are both famous for their premium stands. They share similarities with tripod stands but have a support yoke/arm for the neck of the guitar and the legs support the body. They are much more stable than traditional stands and can hold a longer instrument. This means that if you have a very long guitar, you can use this stand where others may pose a problem for you. These stands can accommodate more than one guitar. It saves you a lot of floor space. These are similar to tubular stands and essentially have the same components. It is a good solution if you have a lot of guitars and are tight on floor space. This is pretty self-explanatory. These racks allow you to keep multiple guitars, usually up to ten. They don't take up a lot of space and can often be folded. It's obviously the top choice for studios and bands on the move. Racks usually keep guitars very close to each other but have the essential padding to provide protection. Guitar stands are made using steel, wood or plastic. Steel and wood are sturdy and will give you many years of use. Plastic, on the other hand, is not as strong or safe for your guitar's finish. Metal is also not good for most finishes. For instance, nitrocellulose finish guitars should be stored on wooden stands because metal or plastic can ruin the finish. However, you can still use these stands if the material doesn't make contact with the body. Stands are usually labeled as nitro safe, so keep an eye if you have this type of finish on your guitar. Guitar stands are usually inexpensive. You can find a decent quality single stand or wall mount for under $20. There are some from high-end brands that can cost a little more. 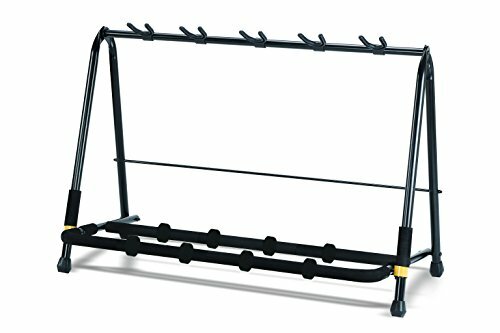 Multi-stand and racks are more expensive but these still are a good bargain. Buying from a good brand name means you pay a bit more but in return, you get high-quality and years of use. 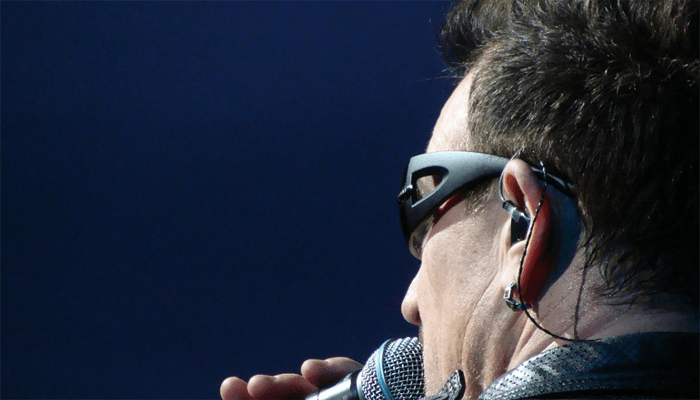 Some well-known brands include Hercules and On-Stage. 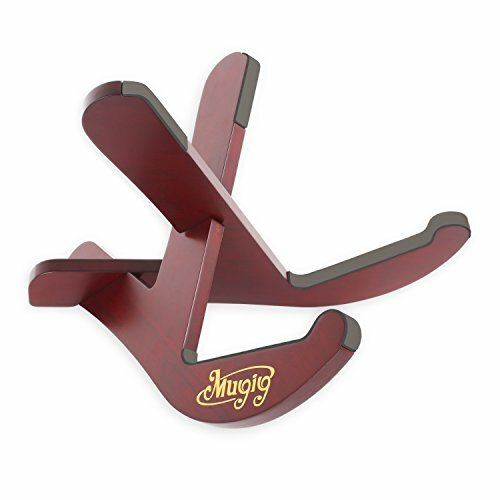 Stagline guitar stands are also very popular among guitarists all around the world. Every stand has some sort of padding to protect the finish of your guitar. This is important especially when you have an expensive instrument. Some materials can damage the finish of the guitar, so it's important for you to know the material and if there's padding on all of the touch points. The padding is usually made of foam or rubber and should be reasonably thick. Each stand has a weight limit and is suitable for specific instrument sizes. Some have a smaller height range while others work for bigger instruments. Make sure you check out the measurements before purchasing. 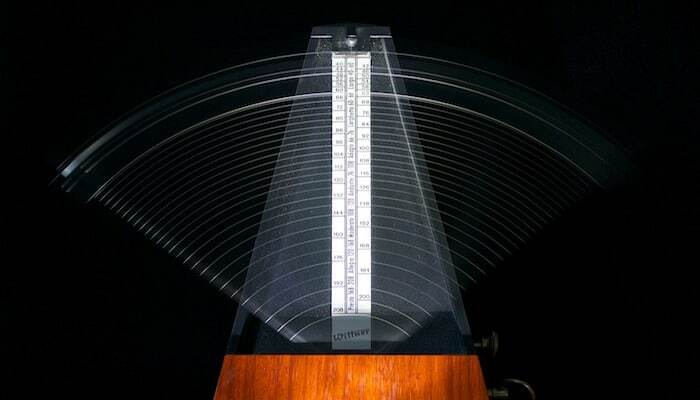 A stand with a maximum height above 40" is good for most instruments. Wall mount hangers that grab the headstock or neck should be measured to ensure your guitar's headstock or neck fits well in the mount you're thinking of buying. The simple answer to that is that it depends on the stand and the type of guitar. Most stands are harmless. However, depending on the material, some stands may not be best for the type of guitar you have. Because most stands are built for stability, your guitar should be safe from damage. The only chance of damage is from the contact points with the body of the guitar. For this reason, you will see that these stands universally have padding of soft foam or rubber to provide protection. Nonetheless, it is important to see if the material of the stand if adequate for the make of the guitar. This is particularly important for nitro finish guitars. Such guitars should only be placed on a wooden stand because other materials like steel can ruin the finish. Guitar stands are a good, secure way for storing your guitar. It makes it easier to place it in a safe place rather than just place it on the floor or against the wall where someone could tip it over or step on it. Stands are also present in studios and stages so it is easy to switch between guitars. If you are a guitarist, you naturally love your instrument and want to protect it. Stands provide an easy solution. Yes, you can use a guitar stand for a banjo. However, not all stands are great for placing a banjo. You can use A frame stands for banjos as well as the regular tubular frames. Premium frames can also be suitable for a banjo. You have to ensure that the stand you are getting is good for a banjo by checking the weight limit and height range. Most products will mention this in the product details. Banjos need the same kind of protection and storage as guitars. These stands provide a viable solution. You can use a stand or a wall mount hanger although the former would be best suited as it can support heavier instruments. Guitar stands are quite affordable but the price often depends on the brand. If you are buying a rack or multi-guitar stands be prepared to pay a little more. Single stands are not pricey at all and most decent quality ones cost under $50. In fact, you can easily buy one from a well-known brand for under $20. 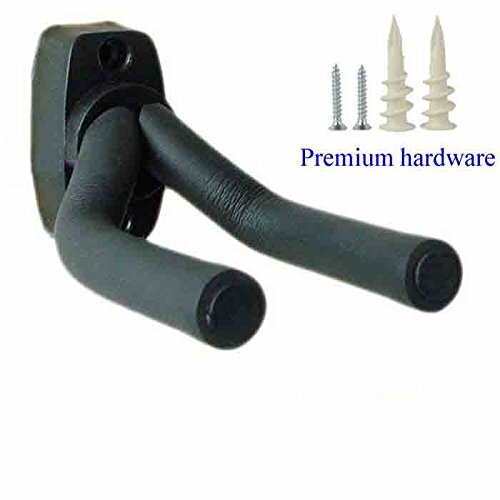 Wall mount hangers for guitars are even cheaper than stands, often costing less than $10. These are usually made with a high-quality wooden base If you're on a tight budget or have limited floor space, wall mount hangers are a great choice for you. High-end brands cost a little more. But when you pay more you get better quality and durability. Yes, most of them are designed to be very convenient for storing and carrying. You can flip or bend the arms or yokes so your stand can easily fit into a case. However, some are less portable than others, like some tubular stands. In comparison, A frame stands and premier stands are a lot easier to transport. Multi-guitar stands and racks are also very portable. Big racks that can house five to ten instruments can easily be flipped and carried anywhere. This is essential for players because they need them during practice or when they are on stage. If you think you are going to have to carry your stand around with you a lot, be sure to check out how much it measures when folded. This will also tell you if you can pack it easily and take it with you on your travels. Part of portability is weight. Your stand should be very light but strong enough to support the weight of your guitar. Some stands do require a little assembly but this is fairly easy and won't take you more than a few minutes. These usually consist of one piece so there isn't much assembly to begin with. However, you do need to fix wall hangers with screws, but they come with the hanger. With most stands, all you'll have to do is unfold them and then they're ready to be used. This is what makes them so convenient and portable.